Japanese Maples are known for their delicate, lacy foliage, but some have a bolder presence. 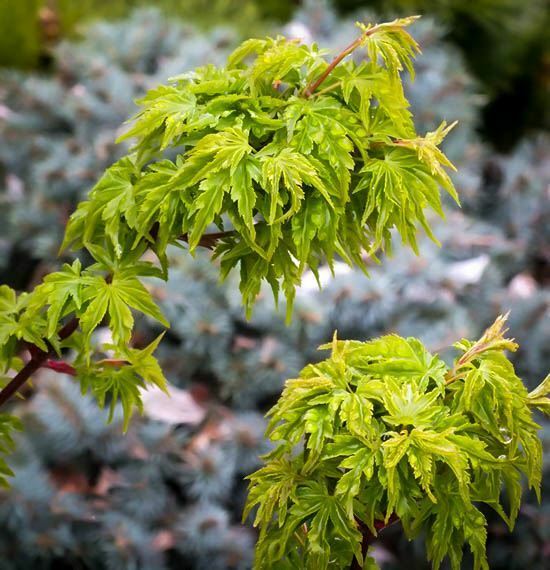 With its larger leaves more crinkled and fuller than others, the Lion’s Head Japanese Maple makes a strong statement in the garden, as a small, upright tree with great character – a lion among lambs. 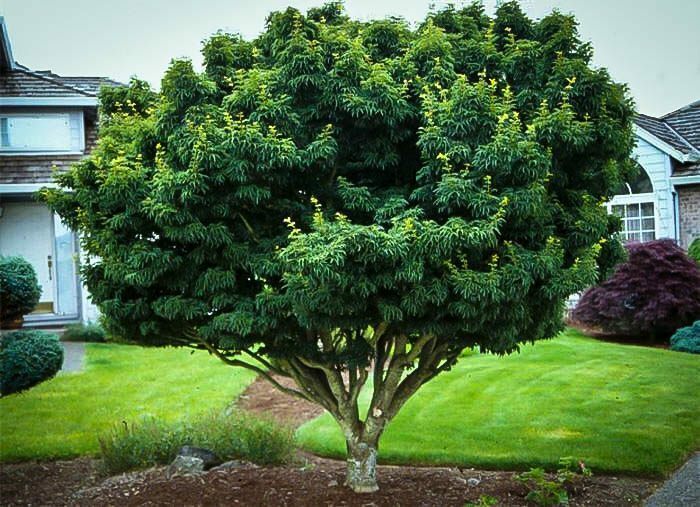 If you are looking for a distinctive and impressive tree to add to your landscape this exotic specimen will be a dominant centerpiece in your outdoor space and bring strong, intense color every fall. 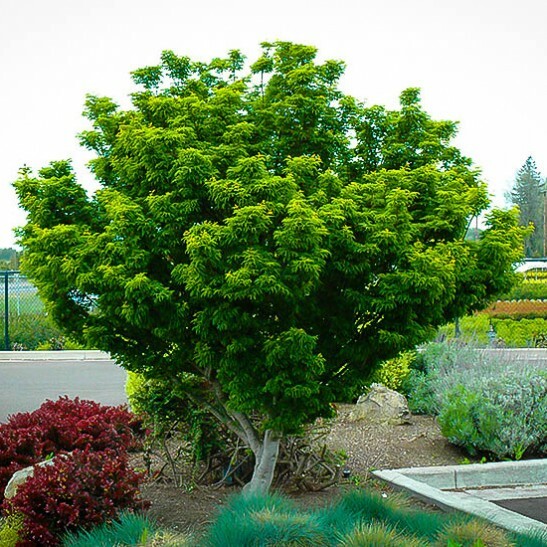 The Lion’s Head Japanese Maple makes the perfect container plant, where its exotic crested leaves can be clearly seen. Its upright growth takes up less room that spreading forms, so if you love the unusual and have limited space to garden, this is the Japanese maple for you. 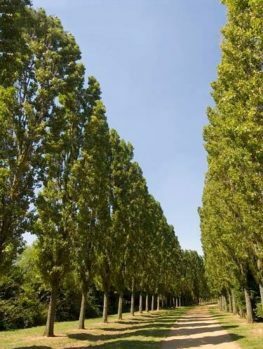 With so many types of Maple trees to choose from, there is bound to be one that is perfect for your property. Maples offer a variety of leaf shapes and sizes as well as beautiful color changes in the fall season. Unlike the classic shape of many deciduous trees, which are foliage-heavy at the top with long slender trunks, the Shishigashira provides an upward growing shape from the base of the trunk and expanding further out the larger the tree grows. 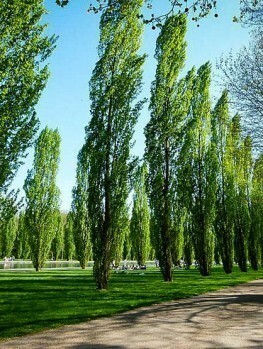 This tree provides a wide range of shade during hot sunny days, lovely colors throughout the spring, summer and fall and a unique shape that will make it the envy of the neighborhood. If you want to add a burst of color to your property, the Shishigashira variety of the Acer palmatum is an exceptional choice. 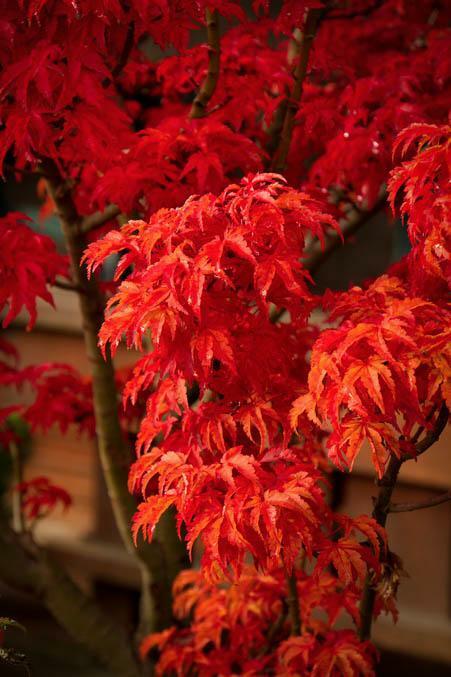 Even though it is called the Japanese Maple, these trees can be found in China, Japan and Korea. This variety, though it can grow up to 15 feet high and twelve feet wide, is an excellent choice for potted planting. By planting it in a pot you can restrict its trees overall size, which makes it an ideal candidate for indoor conservatories or commercial atriums. The variety is also a prime choice for use in creating bonsai trees. Bonsai is the art of cultivating and training trees to be miniature examples of their full-sized counterparts. The leaves of this particular Maple are palmately lobed, meaning the lobes of the leaf spread outwards from a single point, similar to how the fingers on your hand spread. These leaves are green throughout the spring and summer; as autumn approaches, the leaves begin subtle changes into yellow, orange and bright reds. Because of the shape of this Maple, with branches forming very low to the base of the trunk and growing upwards and outwards as it matures, the moniker “Lion’s Head” was given to the tree due to its strong resemblance to the mane of the male lion. These leaves then die and fall off in the winter and the growth process begins again the following spring with the first signs of tiny purple flowers beginning to bloom, indicating the change in season. The Japanese Maple is a finicky tree and prefers a relatively stable climate all year round. Because of this, this tree is only suitable for locations in USDA plant hardiness zones 6 through 8. It will be quite happy in locations from southern Pennsylvania down into Georgia and even in the more northern parts of Texas. You will not want to plant this tree in places that are subject to extreme cold or heat with humidity. 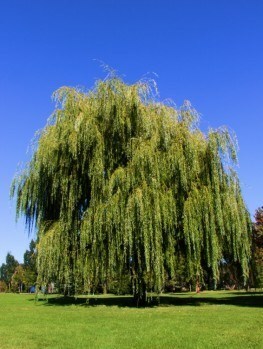 While the tree is particular about the climate, it does well in a variety of soil types and a wide range of pH levels. 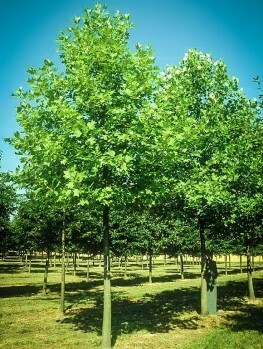 This particular variety of Maple can be grown with no trouble in moist and organically rich soils. 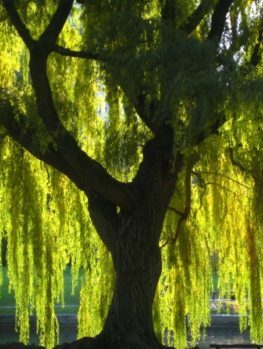 For the first season after its planting the tree will require regular watering to ensure the root system has been established. During extended periods of dry weather it will need to be watered at least weekly. They also benefit from being in well-drained soil and located in a spot there it can obtain the most sun throughout the day. It also tolerates partly shaded locations very well. For the best display of color coming into fall, however, you will want to plant it in full sun. 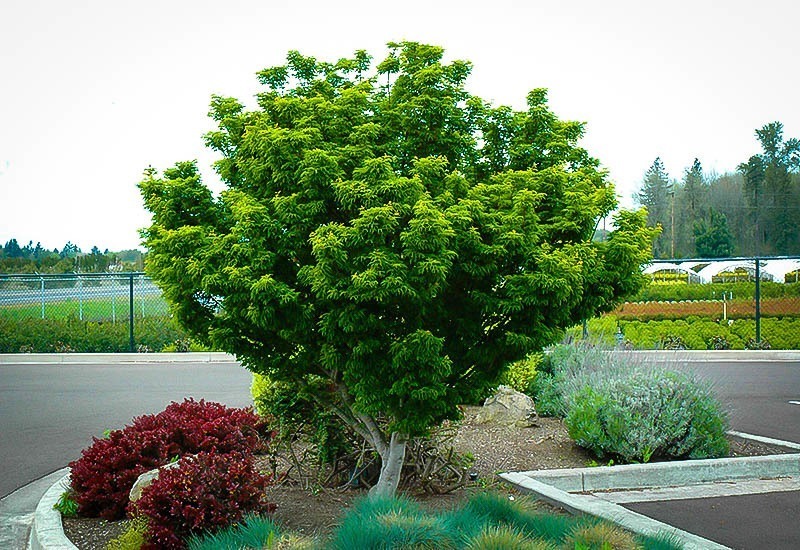 Because the Japanese Maple’s branches are not very thick and the leaves are delicate, you will want to ensure that you avoid planting it in an area that receives a lot of strong wind. Care and maintenance for the Japanese Maple is pretty easy. 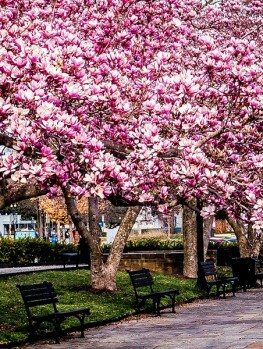 Regular watering during the first growing season will help the tree establish its root system. Once it establishes itself in its new space, watering can be reduced. 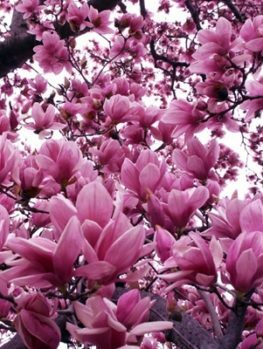 General purpose fertilizers used in spring can provide the tree extra nourishment to ensure optimal foliage and flower growth. If you would like to prune your tree the best time is in the winter. During this time, removal of any dead or dying branches is recommended. While the tree is generally free of serious insect or disease issues you will want to keep an eye out for cankers on the stems or spots on the leaves. Because it tends to produce its leaves early in the spring, it may be susceptible to frost damage. Even though the Japanese Maple is a slow grower and it may take a few years to fully develop its attractive foliage and shape, it is a choice that you will certainly be happy with in the long run. It’s a great choice to add to your property as a strong focal point or even used in various situations where groups of the same plant are needed. Its versatility and adaptability mean that you can let your imagination run wild and create a spectacular garden display.